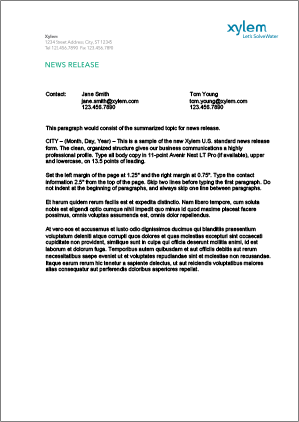 News Release Letterhead | Xylem Inc.
Templates are provided in US Letter and A4 sizes. Microsoft Word templates have been provided. The templates labeled “customize” allow for customization of local addresses. Use these templates to output your news release on your office printer or to send it electronically. 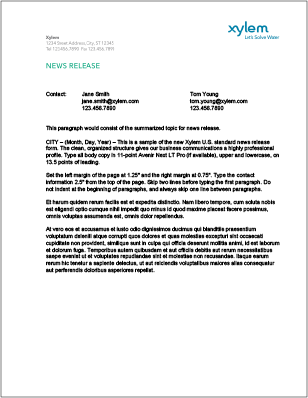 The templates labeled “imprint” allow you to type your newsletter and output it on pre-printed letterhead.